The tour kicks off in Sydney at the Enmore Theatre on April 6, before heading to Coffs Harbour, Brisbane, Gold Coast, Geelong, Melbourne, Canberra, Wollongong, Newcastle, and Cairns before winding up in Hobart on May 23. 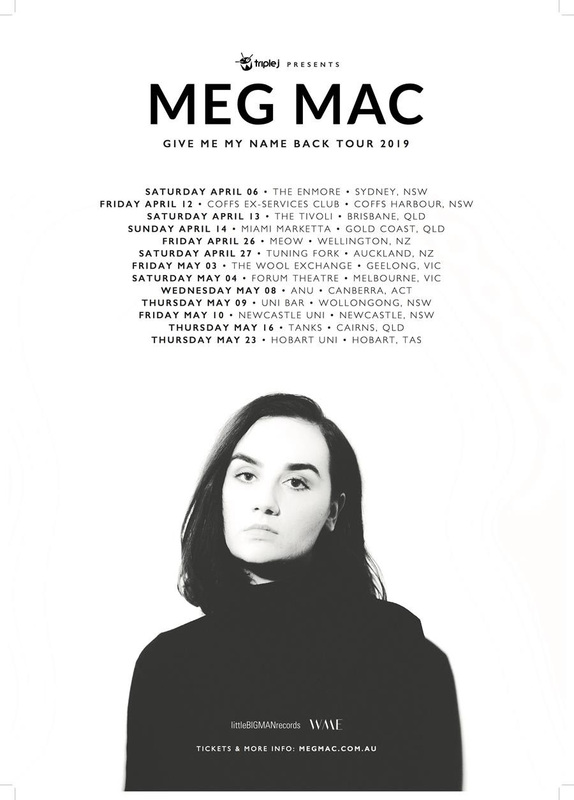 Meg Mac’s ‘Low Blows’ album debuted at No. 2 on the ARIA Album Chart on release last year. Her debut EP ‘Meg Mac’ has sold in excess of Platinum, and is now available on vinyl, including bonus track, the anthemic ‘Never Be’. Its lead single ‘Roll Up Your Sleeves’ has clocked up almost 20 million plays on Spotify. Tickets on sale 10am, Friday November 23.